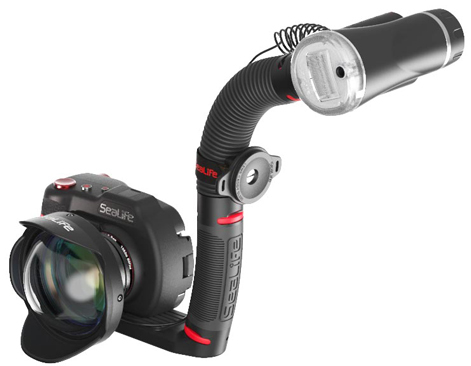 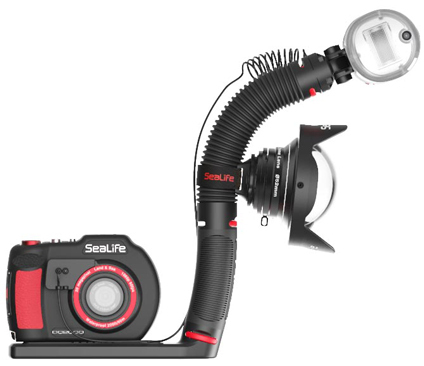 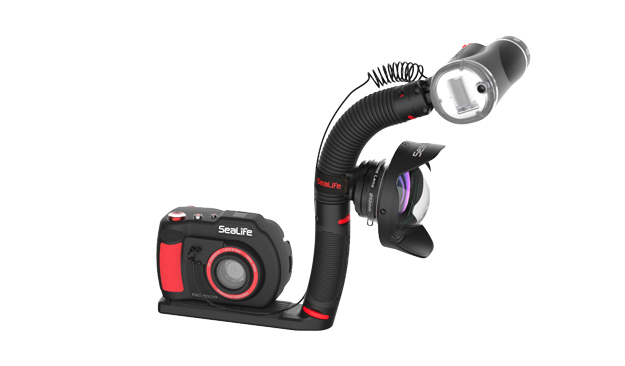 The SeaLife Lens Caddy mounts ANY SeaLife DC-Series lens to the camera tray using a standard ¼-20 tripod screw or to any grip/arm up to 45mm in diameter using a sturdy hook & loop nylon strap. 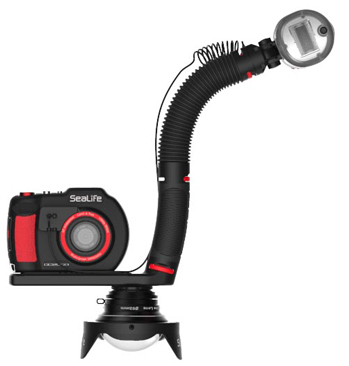 The Lens Caddy holds all SeaLife DC camera lenses, including the popular 0.5x lens, 0.75x lens, DC-Series Super Macro lens, and the Fisheye lens. 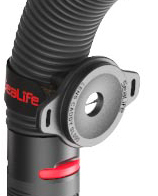 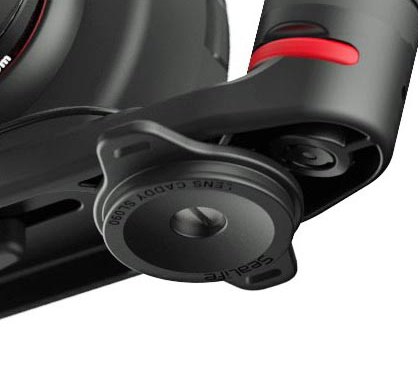 The lens securely pressure grips onto the Lens Caddy underwater or on land, the same way lenses attach to the lens port of your SeaLife camera. 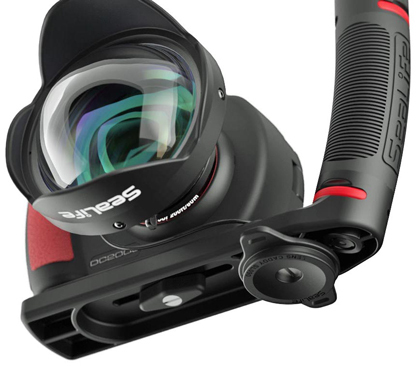 You can attach one lens to each Lens Caddy, and you can mount up to four Lens Caddy to your camera set.